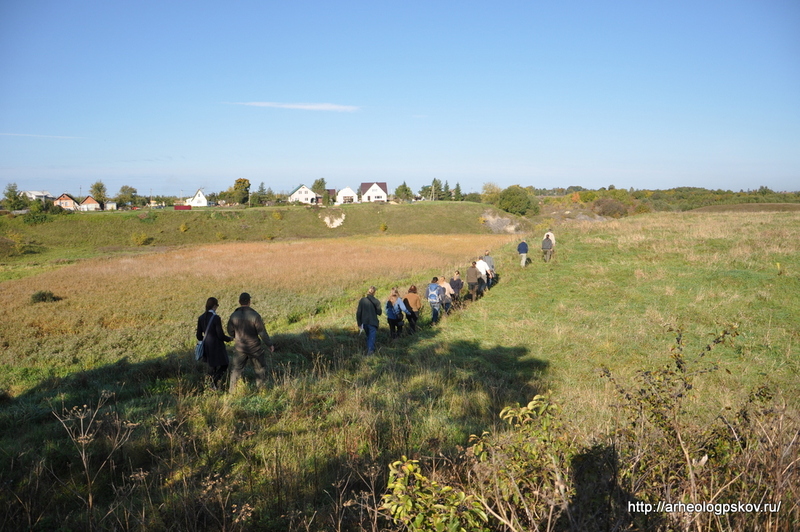 Share the post "Archaeological inspection in Russia"
18th-20th October, partners from Tartu and Pskov visited archaeological sites in Ingria and in the vicinity of the middle part of river Pljussa. 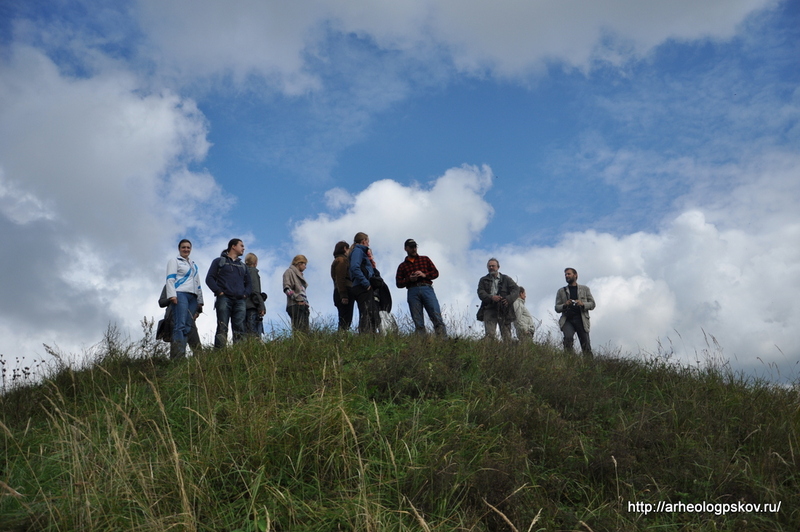 During the inspection, participants shared their experience and their understanding of archaeological sites. 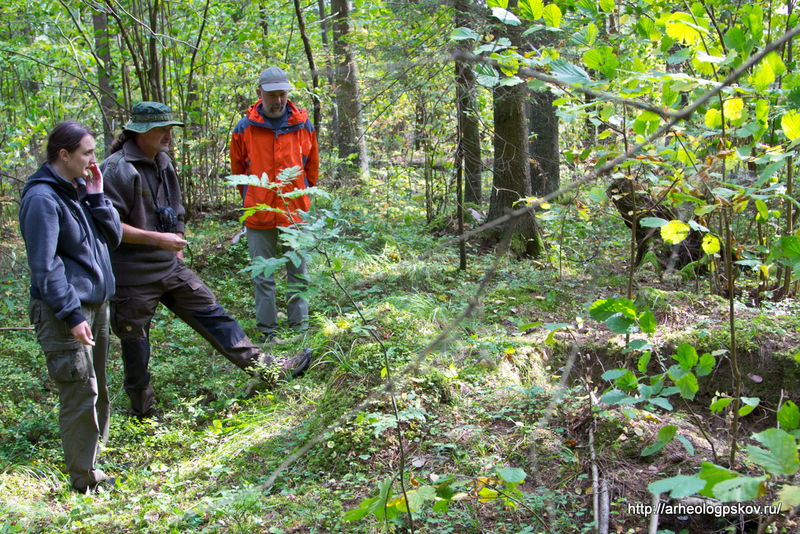 As the areas were inhabited by people whose successors have lived in the borderlands of both, Estonia and Russia, the inspections turned out to be very informative and profitable for all of the participants. First, graves and old seaside cliff in Ingria were visited. 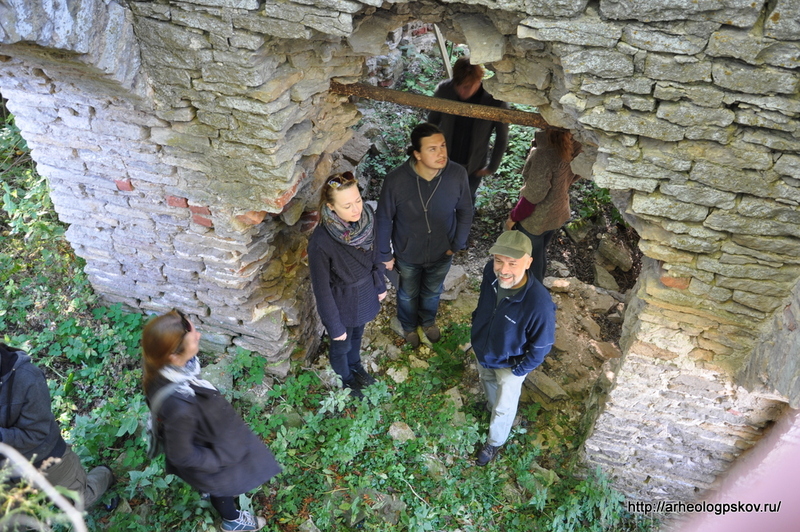 Later, there was a possibility to visit the archaeologists’ house-camp, familiarise with the fieldwork pictures, mmonument layers and finds. Also, an excavation pit on an interesting stone grave had been left opened for the guests to see, but was backfilled shortly after. Archaeologists had an educating tea break in the Gdov Museum and had a chance to see some of the rare items that were presented and discussed during the student seminar in Tartu. 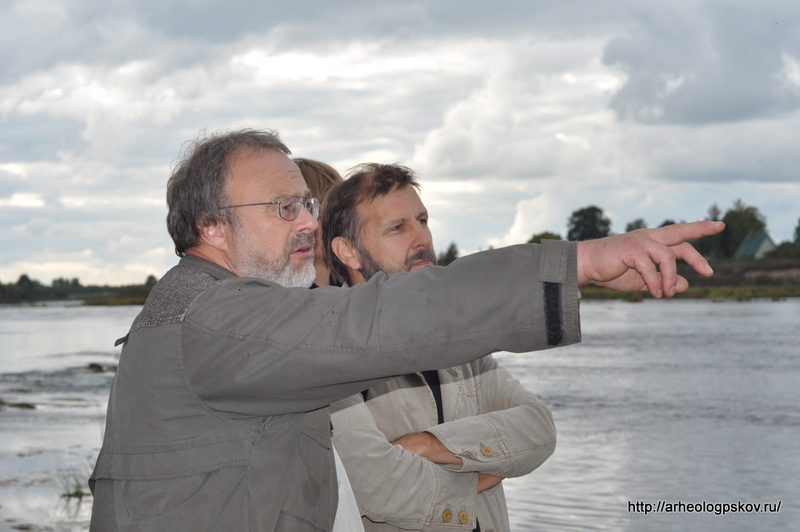 The last two days flew by while inspecting archaeological sites in the middle part of river Pljussa with the help of mr S. Popov from St. Petersburg. Several barrow cemeteries were visited as well as some graves with above ground stone constructions, hill-forts and settlement sites. Unfortunately, one of the barrow sites had been disturbed and some of the burial constructions had been vandalised. 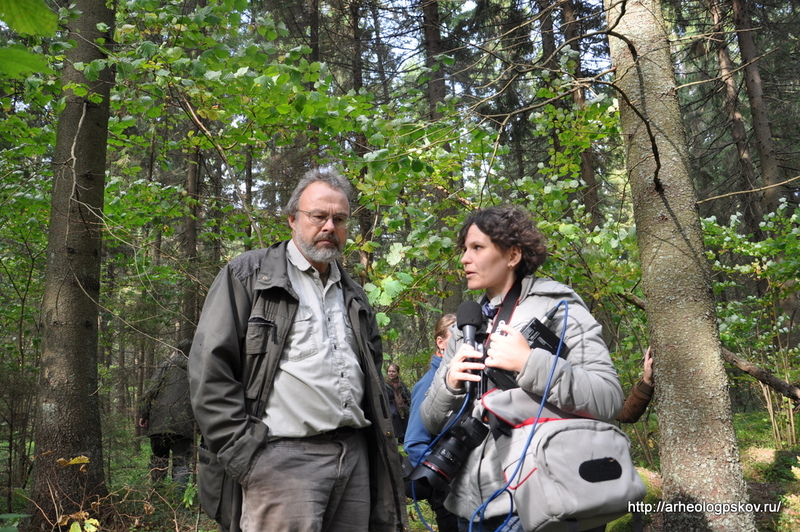 Share the post "Archaeological inspection on medieval road ”Pskov-Izborsk-Aluksne”"
From 16th to 19th September 2013 in the framework of the project ”Archaeology, Authority & Community: cooperation to protect archaeological heritage” archaeological inspection took place on the old medieval Pskov-Izborsk-Aluksne road. 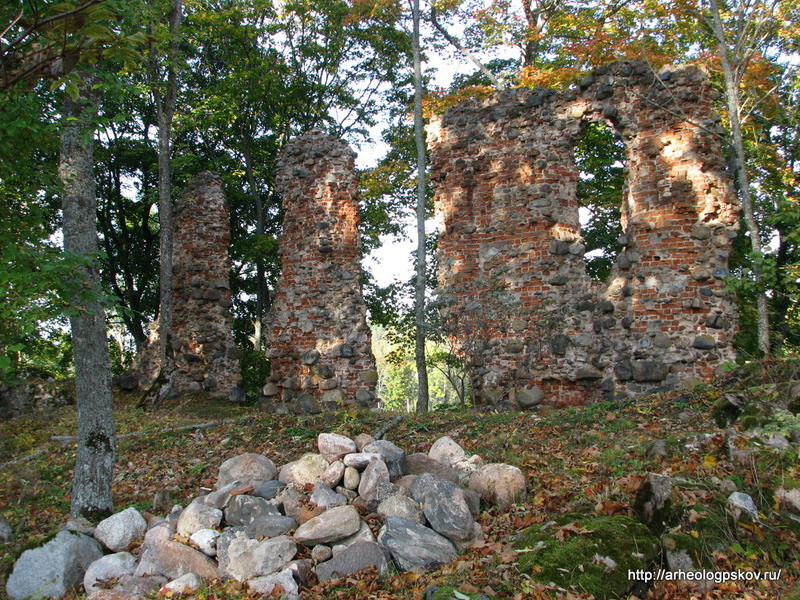 The trajectory included archaeological monuments both in the Russian Federation and the Republic of Latvia. 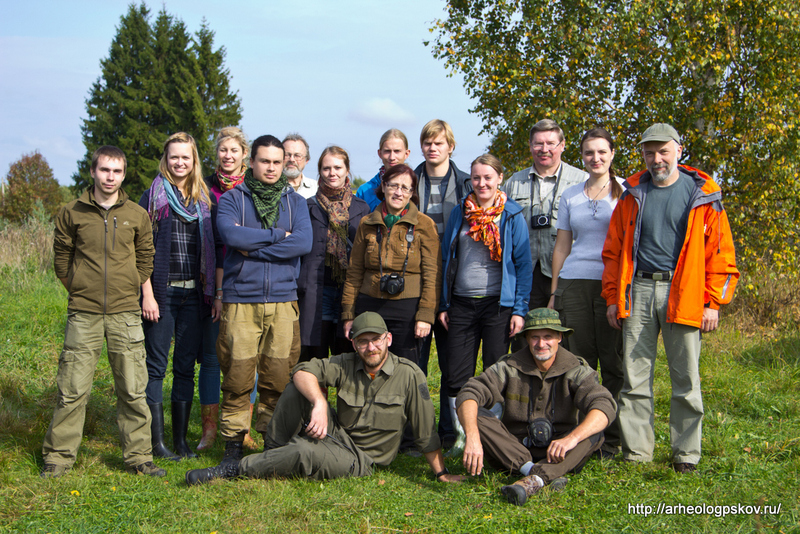 There were participants from most of the project partners (PP 1,3, 4,5, 7,8). 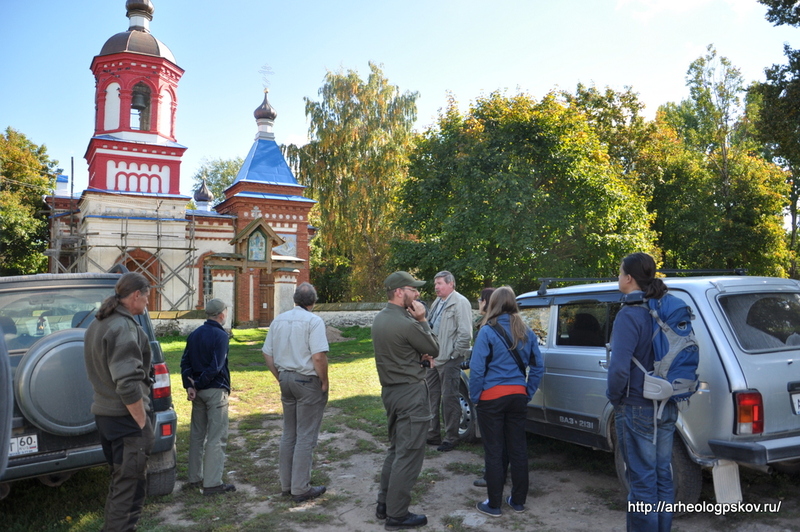 September 16, places near Pskov, the estuary of river Velikaya and stronghold of Vybuty were visited. 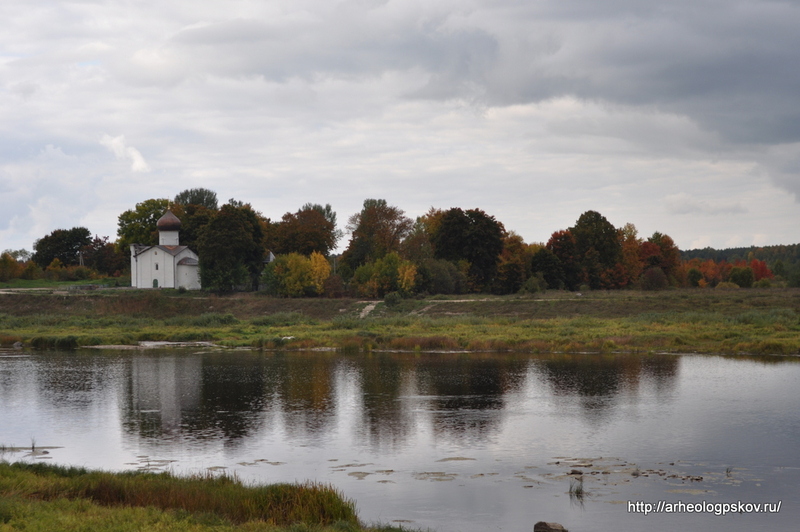 On September 17, the inspection on the historical road begun at the place of old floating bridge at the beginning of the Izborsk street and continued through medieval administration centres and cemeteries – Kamno, Korly, Pechki, Senno. More than 10 sites from the second half of 1st millennium to 16th-17th centuries were seen. 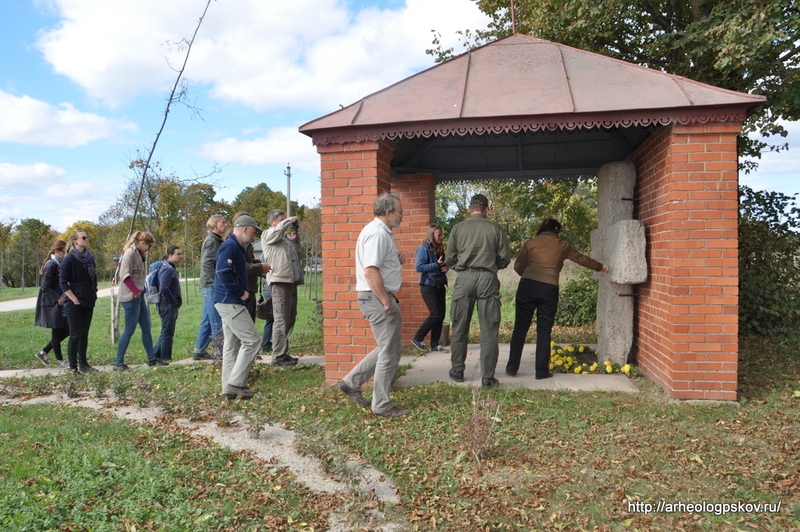 In the area of Malaya Listovka, the participants documented the vandalisation of a zhalnik-type grave. 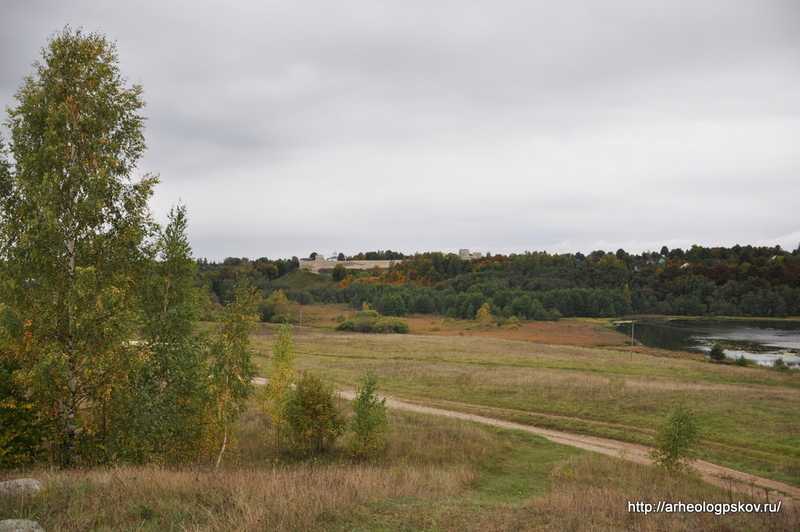 From the edge of an old quarry, it could be seen how the round zhalnik was formed by large granite boulders and the interior of the grave was covered with limestone slabs. The route ended in Old Izborsk. 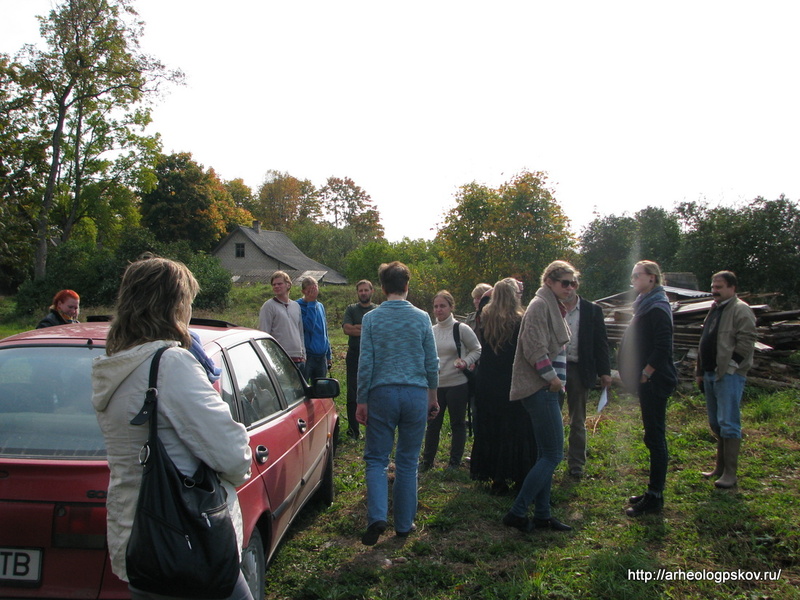 On September 18, the field trip continued on the old historical road from Izborsk to Panikovichi and Schemeritski churchyard. 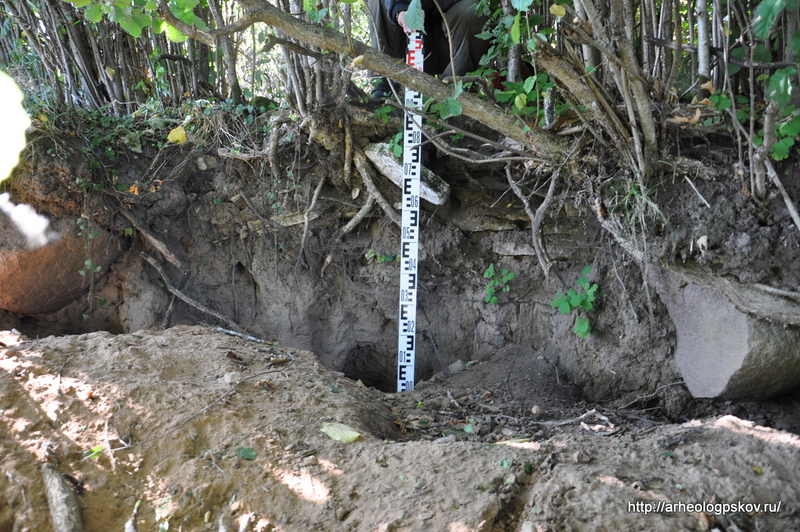 In the area of Andreikovo, the participants found traces on vandalisation on another zhalnik-type grave, probably already about 15 years ago. 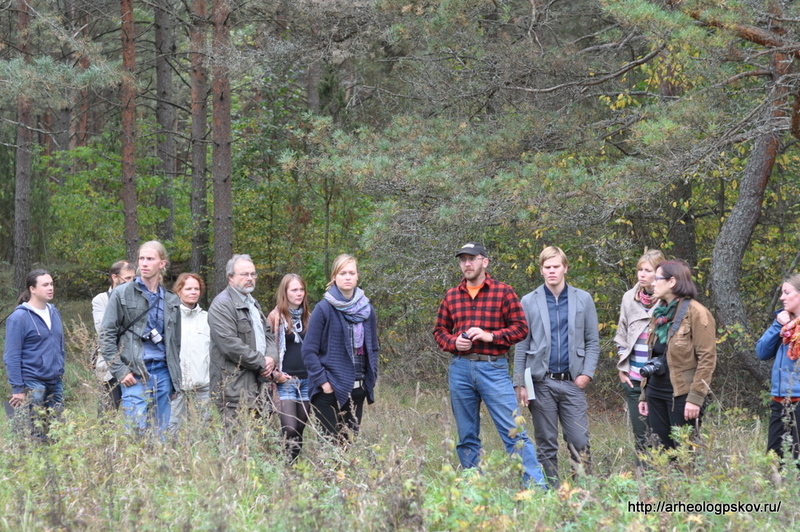 On September 19, the inspection continued in Latvia, in Aluksne Region. 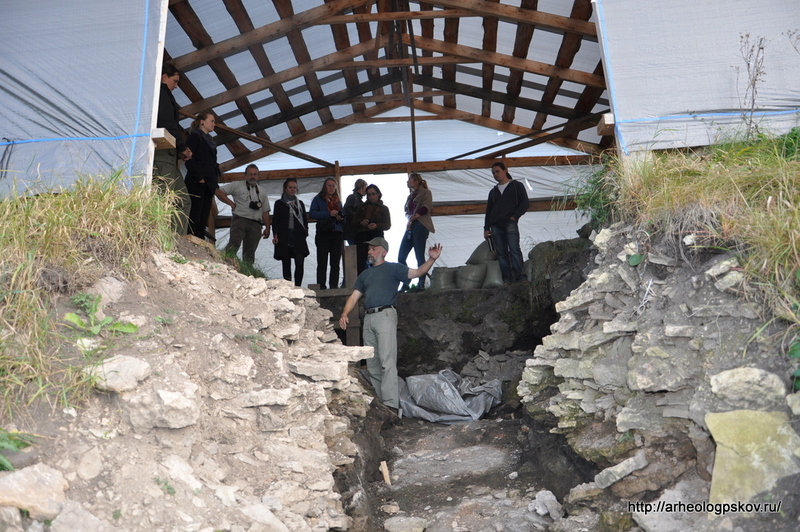 Altogether, during the four days, the archaeologists visited about 40 sites. 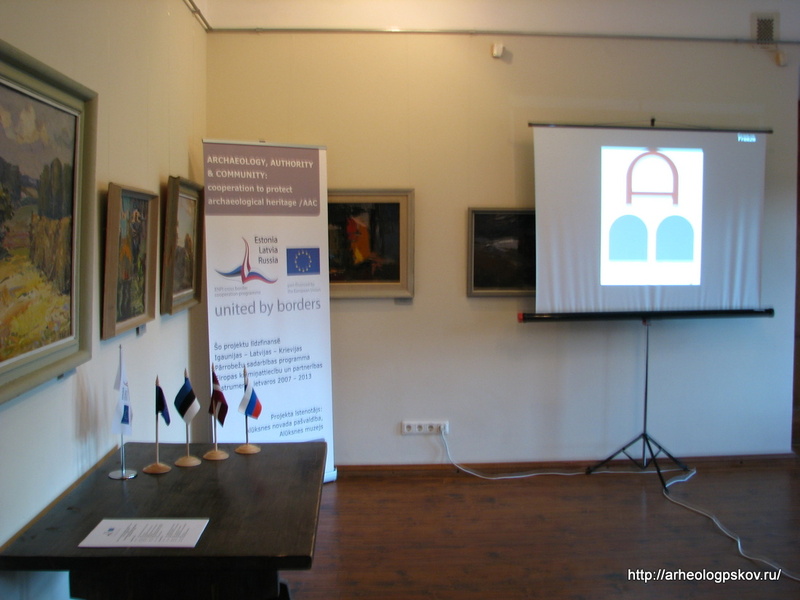 The travelled medieval route will be the basis of a future tourist route on the medieval road from Pskov to the Baltics.